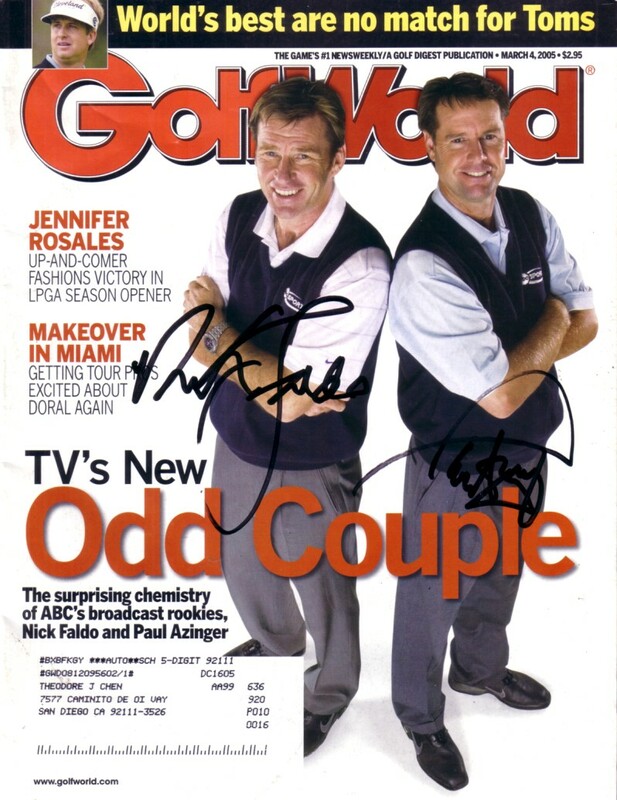 Complete 2005 Golf World magazine autographed by ABC Sports broadcasters and former major winners Paul Azinger and Nick Faldo. Has minor flaws and wear. With certificate of authenticity from AutographsForSale.com. ONLY ONE AVAILABLE FOR SALE.